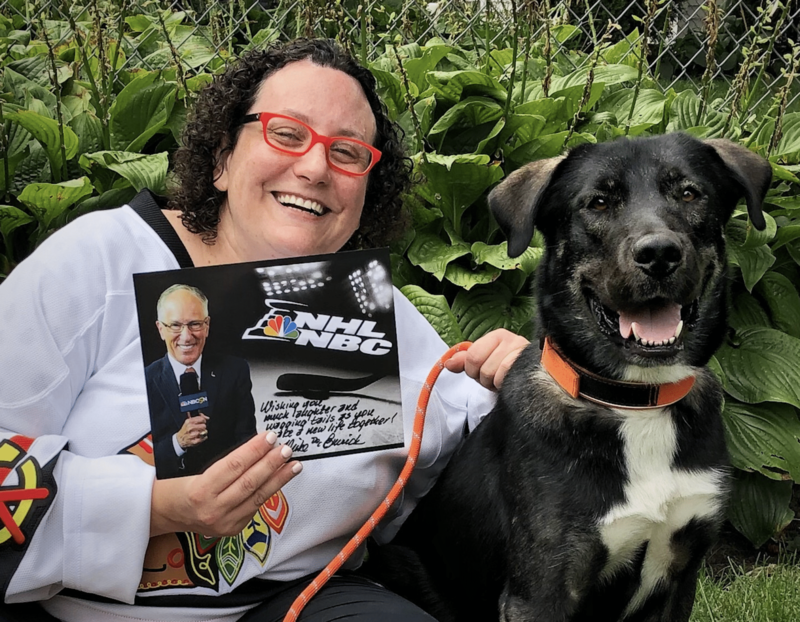 Legendary NHL broadcaster Doc Emrick continues to make a difference for Chicago animal welfare. 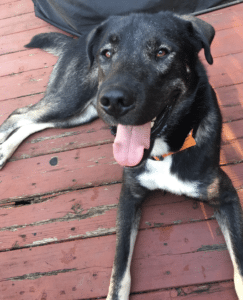 He’s previously paid forward for adoptions at South Suburban Humane Society, and now he’s done the same for Chicago Canine Rescue (CCR). Live on WGN radio, I presented a $1,200 check to Beckie Tomala of Chicago Canine Rescue.from Emrick. We had a dog in the studio, named Jade, who was eventually adopted. And CCR named dogs Stosh (to honor Stan Mikita), Kaner, Taser and Emrick. They’ve all been adopted; oddly Emrick was the last to go. “I want to let you know that Emrick is a fabulous doggie. He is extremely affectionate and playful. He is already pretty good at walking on the leash although he is going to need some obedience training of course, so that he can learn not to pull because he’s quite strong. Two days ago, I took him to Montrose beach and he had a wonderful time chasing and running with the other dogs. He’s extremely fast and can jump very high. He also loves the water. Emrick does chase after the chuck it ball and returns it to me or near me anyhow…..he loves the back yard and has quickly learned that when he goes out he should do his business. He sleeps in his crate through the night with no problems. . . The other reason I’m writing is because I would really love to start adoption proceedings with Emrick as I am completely in love with him and cannot imagine ever letting him go home to another family. I was wondering if you wouldn’t mind letting me know what I need to do in order to adopt and when would be a good time for me to come in to do the paperwork. I want to thank you again and I look forward to hearing from you. 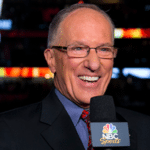 “If you end up writing to Doc Emrick, please let him know on my behalf that Emrick is truly awesome and the best dog I’ve ever had. I truly thank him from the bottom of my heart for this great gift.